Vertical gardening is an often missed opportunity when dealing with small spaces. Small landscapes, in order to be most effective, need drama, versatility, and innovation. Vertical gardening solutions are perfect for most diminutive spaces. Small space gardens can be exciting, dynamic spaces! Or they can be incredibly drab. Relying on flowers and foliage alone in a small space that requires year round interest can be a losing proposition without some of the techniques we'll discuss here. Perennials flower less in many cases, but often maintain incredible foliage throughout most of the year, and are great long term investments...however most go through some "not so special" moments...OK..generally months! Annuals are more often than not fleeting beauties, here today and gone tomorrow. This can create a landscape that may not look too terribly good at some times of the year. Since most tiny gardens are also right outside a sliding glass door or a window, it is nice to have a landscape that shines year round. So how do I make my garden shine all year? Some of these techniques provide winter structure, others allow you to easily move and replace plants in declining states without losing them entirely, and others provide innovative solutions to gardening in spaces that would otherwise be unusable. Most landscapers who want to create drama in a design use one or more of these vertical gardening techniques in their planning. You want your small outdoor space to be stunning? As if it were planned by a landscaper? These techniques are one of the landscapers secrets. Most homeowners overlook these option when planting their properties. So let's get down to business shall we? It is time to start putting some of these ideas to work. 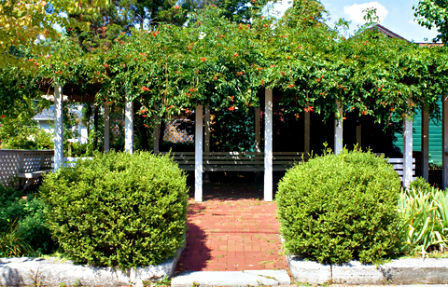 Pergolas and trellises are dynamic additions to small spaces. This vertical gardening technique can be used to add shade where desired, to provide drama and to add incredible winter interest to your garden. 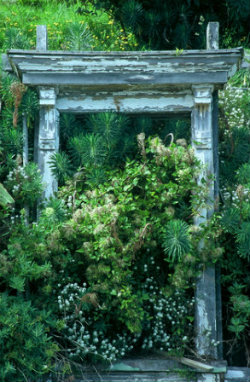 Pergolas and trellises offer a perfect vertical gardening opportunity. Planting vines such as Clematis, Chocolate Vine, or Jasmine and allowing them to clamber up the posts is a delicious viewing experience which can help to create a real sense of permanence to your space. Planning for vertical accents is a snap. No carpenter skills required! A post in the ground, and old door from a salvage yard, a wrought iron antique gate, a baker's rack...anything that adds height and provides a purchase for climbing plants.... the only limit is your imagination! 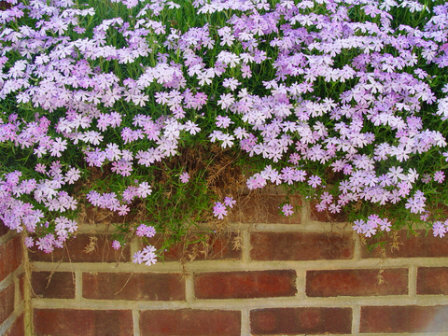 These vertical elements create interest and beauty year round and are often the star of the show even in the most lush part of the garden year. More importantly, they allow you to grow more plants! 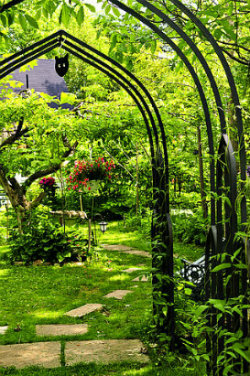 Arches and arbors are perfect for entrances and exits to the garden. They provide enclosure, add some mystery, and provide wonderful vertical gardening opportunities. 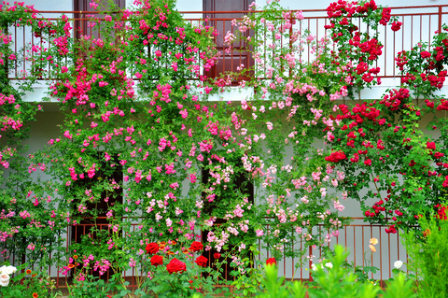 Adding arbors or arches and planting them profusely with climbing vines can make an outdoor space feel larger by hiding other parts of the garden from view. Our minds automatically register that there is more behind the arbor (whether it is true or not!). This creates a sense of invitation that we find alluring. Espalier techniques train plants to grow flat against a wall, fence or onto a system of poles by tying them or pruning them ruthlessly to the desired shape. Some trees will also support espalier techniques as freestanding options. Espaliered plants can furnish true drama in an outdoor space. These do tend to be a bit higher maintenance solutions, but as you can see above, the results can be truly dramatic. Espalier techniques provide architectural elements during the winter months, while providing lush, beautiful foliage and often fruit during the growing season. This technique is highly effective where space is truly minimal. Hanging baskets are a small gardeners nirvana! They allow color just about anywhere there is enough head room for someone to stand near them without banging their heads. They can be attached to fences, hung from trees, set on top of roofs, on top of posts, along shelves, or on garden racks. 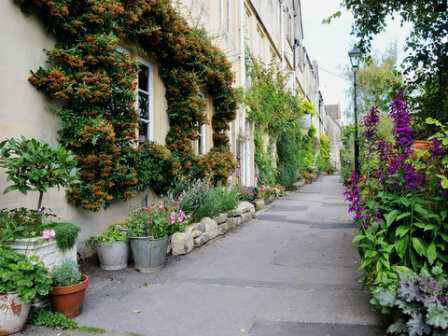 Hanging baskets provide a versatility that is welcome in a small garden, as pots of declining annuals or perennials can be easily replaced with fresh, new containers which help to keep a fresh landscape all year round. Baskets can be also be densely planted, providing exciting visual experiences immediately, and as plants outgrow their containers, they can be tossed or moved into larger containers. 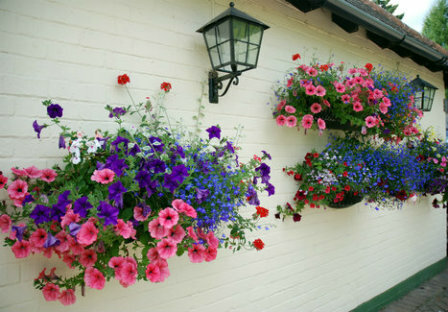 Most annuals and many perennials will be very happy in hanging baskets. No small garden should be without them! Raised beds and terraces are a great way to make the most of a small space. A well planned terrace can create interest in a space, while allowing a variety of plant life to thrive in your garden. Vegetation that might otherwise not get enough sun can be raised to new heights in your terraced garden, and become star pupils. Another great advantage is that it provides strong winter interest for that close up vie garden. Designing a beautiful terrace or raised bed can carry your landscape through the winter months dressed in beautiful style. Terraces and raised beds allow you to create drama on hilsides and steep slopes, where otherwise gardening would be a significant chore, in some cases nearly impossible. Many folks forget about what is above their heads. 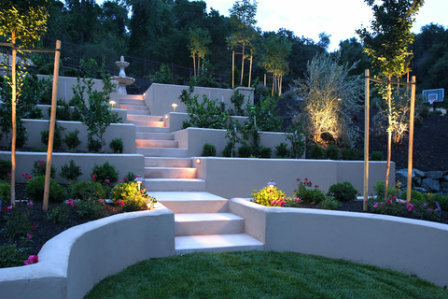 If you want a landscape that stands out, one way to do it is to reach for the heights. Planting the tops of your walls with plants that trail, nestle, or even curl their tendrils along the top can dramatize a small space. If you don't have a wall, build it! I have seen some incredible "garden ruins" that were hand built by the homeowners. Follies such as a hand built ruin can create a dynamite focal point. Planter boxes and window boxes can be attached to walls, built into window sills, and attached along the roof line. These otherwise unusable spaces can be cultivated to bring a whole new dimension to your small garden. Use a designers eye to combine plantings in such a way that they capture your attention for a stellar focal point, or dress up an ugly wall, and turn it into a design feature. Using these box planters creatively will certainly dress up your landscape and make it something unique and different from your neighbors gardens. Better yet, YOU don't have to pay the landscaper for the privilage! There's a new craze in town called a living wall or a green wall. The technique was first developed by Patrick Blanc, whose work began to be known in 1994, and the technique was popularized in 2004 and following. In today's garden marketplace there are multiple systems that allow you to plant vertically on an otherwise blank wall, against a house, or even on a feature wall created just for the purpose. 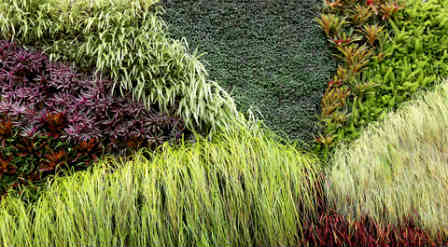 These living walls can be dramatic, artistic, and truly unique features to add to your garden. 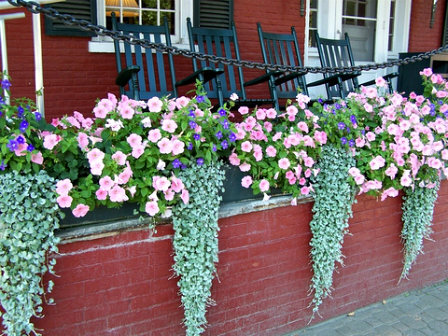 Vertical gardening techniques are often used by landscaping professionals to add high style to their garden designs. They use these techniques to manipulate the eye, to cover up ugly areas in a garden space, and to create unique designs that get conversations going. A little creative thought and some simple handyman skills can bring that same drama to your own small garden. They provide new planting areas for your favorite varieties, whether vegetable or ornamental, and with a little creativity, they can be truly stunning additions.